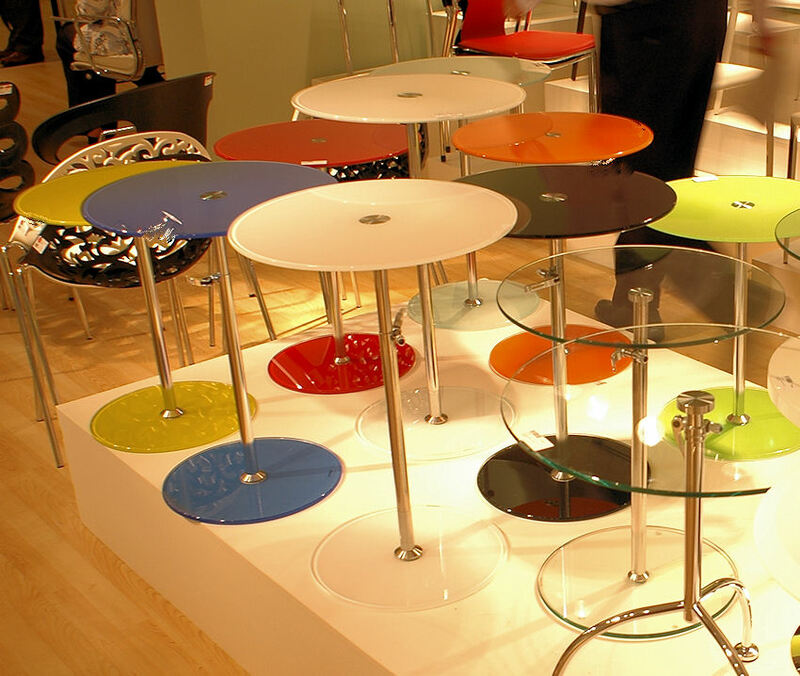 Available in White, Black, Red, Orange, Yellow, Green or Blue color of glass. Also available in Clear or Frosted glass. 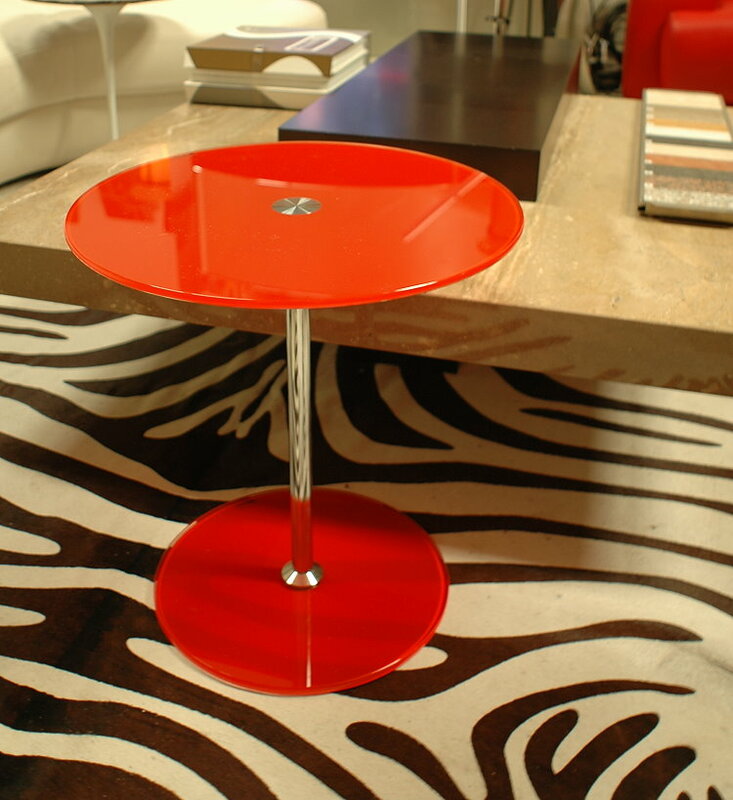 $ 175 - Radinka adjustable glass end table in Red. 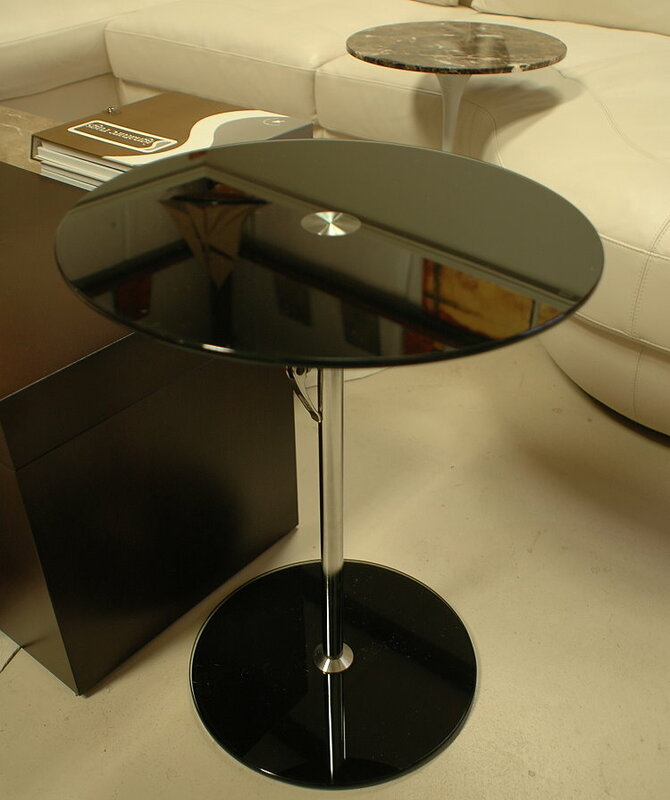 $ 175 - Radinka adjustable glass end table in Black.